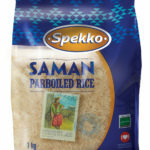 I was approached by the PR company of Spekko rice try out their new range of rice and to run a competition on my blog. Well I had all of the best intentions of posting this competition on or before “Woman’s Day”, however as usual family commitments prevented me from doing so, and seeing as August is “Woman’s Month” I am running this “COMPETTION” for a period of 7 days during the month of August. For the winner, I have a SPEKKO RICE Goody bag worth in the region of R400-00, so that he or she can get busy preparing rice dishes inspired by the region from where the relevant rice originates. During the next couple weeks I will be sharing recipes inspired by the place of origin of each of the 5 different types of Spekko rice. In collaboration with three of the world’s leading rice brands, Spekko Rice is extending the Spekko range with five NEW variants – all imported from some of the largest and most reputable rice growers in the world. The speciality range includes two winning rice variants from the East – Spekko Royal Umbrella Jasmine from Thailand and Spekko India Gate Classic Basmati from India. Three of the Saman brand rice variants from the Americas are also on the list. They include Spekko Saman Parboiled; Spekko Saman Brown and Spekko Saman White Rice. This range is packaged in glossy, newly designed, upright packs. Available in 1 kg sizes the entire range of new Spekko Rice carries the endorsement of the Heart and Stroke Foundation of South Africa. 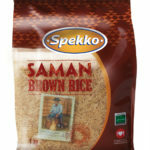 Three variants – Spekko Saman Parboiled, Spekko Saman Brown and Spekko India Gate Classic Rice are also LOW GI certified and approved by Diabetes SA. With listed prices ranging between R13.99 and R28.99 per pack, the range supplements the super-“yielder” Spekko Parboiled Long Grain Rice. 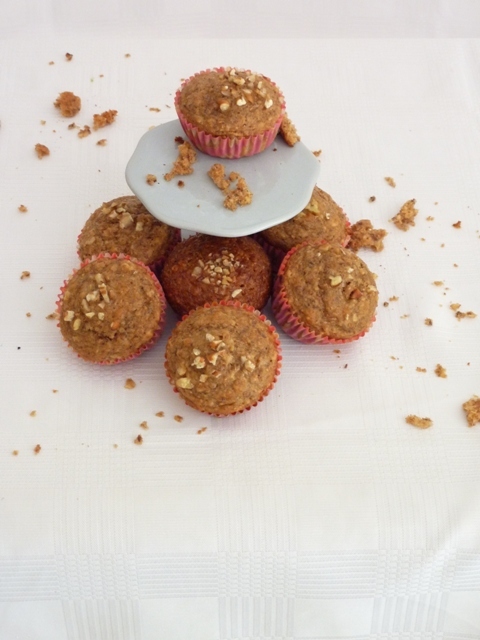 This rice has an exceptional yield: every 1 cup of uncooked Spekko Parboiled Long Grain Rice cooks up to 4 cups of rice. The launch of the five of the five top variants in the world extends the Spekko family to six. India Gate -This brand has become the largest selling brand in India, produced in one of the fastest growing markets in the world. The word basmati means “queen of fragrance” and is also known as the “king of rice”. Like a fine wine, Spekko India Gate Classic Basmati Rice is aged two years before packaging, ensuring quality and a magnificent taste. Classic Basmati Rice is grown near the foothills of the Himalayas, in an area where the unique soil and climate characteristics create the perfect basmati grain. 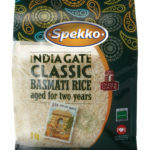 Spekko India Gate Classic Basmati Rice grains double in length when cooked, to around 23 mm. Royal Umbrella Premium Quality Jasmine Rice has been voted “Best rice in the world” over several years. 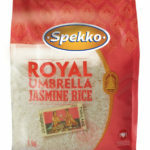 Spekko now offers this rice as Spekko Royal Umbrella Jasmine Rice! The Royal Umbrella brand from Thailand is world-renowned for producing top rice. After all, jasmine rice is eaten with every meal in Thailand. Spekko Royal Umbrella Jasmine Rice is fragrant and has a distinct jasmine fragrance – guaranteed to satisfy the tastes of even the most discerning rice lover. Uruguay in South America has grown in reputation as the country where trend-setting, quality rice is grown. With its humid sub-tropical climate, year-round rainfall, ample natural pastures and numerous water reservoirs, Uruguay has emerged as a medium-size rice producer and Latin America’s major rice exporter. 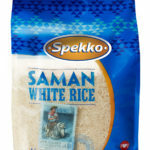 Three variants of Uruguay’s top rice brand – Saman – are now available from Spekko Rice: Spekko Saman Parboiled Rice; Spekko Saman White Rice and Spekko Saman Brown Rice. These three American rice variants perfectly round off the selection of Spekko’s speciality range. After all, “Arroz” as rice is known in Spanish, is the world’s number one staple food. Launching these “five of the best” rice is just another way for Spekko to ensure that consumers truly have a Spekkolicious choice when shopping for Quality, Taste and Yield. Released on behalf of: Jonita Cuff – Marketing manager, rice, pasta & legumes, Sasko Division, Pioneer Foods (Pty) Ltd.
By: W & R. Kobie Richards 083 6012 483/ kobie@mweb.co.za. I’ve been using Spekko rice since we were given some at The Food Blogger’s Indaba last year, it cooks really well (fluffy) and I think it’s very well priced. thanks Sue, have you entered??? 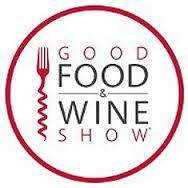 I am sure they will be perfect for his recipes–have you entered?